In 1983, electronic musician Rudolf Langer (Tyndall) and guitarist Peter Preuß teamed up to form a duo by the name of LAPRE (LAnger + PREuß). Aligned with the second generation of the Berlin School, their output is incredibly varied: from repetitive sequencer patterns via playfully cheerful synth pop all the way to atmospheric, hypnotic minor key expanses. It's all there. By 1984, LAPRE had released two tapes and a 12" vinyl. Bureau B's compilation presents the most compelling tracks from these releases. Rudolf Langer began his musical career as one half of Tyndall. The duo released four albums on Sky Records between 1979 and 1983. By the time the two musicians reached the fourth album (BB 289CD/LP), they were barely on speaking terms, so each recorded one side of the LP on his own. The split from his former partner turned out to be a liberating experience for Rudolf Langer, both in a personal and artistic sense. As luck would have it, Langer was riding home one night with a colleague from work, Peter Preuß, and a tape machine was lying on the back seat of the car. It turned out that Preuß was also a musician, a guitarist in fact, and they decided to hook up for a jam session. The results were hugely promising and a plan was made to record together. What should they call the project? The answer was simple -- take the first letters of their names. LAnger + PREuß = LAPRE. They worked on track after track after track and produced two tapes over the next two years ("Tedan" in 1983 and "Flokati" in 1984), each numbering 30?50 copies, intended for sale at concerts. A 12" single on their own label (Oeso) followed later in 1984. Although guitar features on every track, LAPRE's early recordings relate to the Berlin School, with their music, specifically their use of synthesizers, echoing the tradition of Tangerine Dream, Klaus Schulze, et al. LAPRE's mix of analog synthesizers, acoustic guitars and drum computers saw the duo occupy a previously uncharted niche in electronic music. How wonderful to see these recordings being made available to a wider audience over thirty years later. First time CD release for all tracks. LP version. 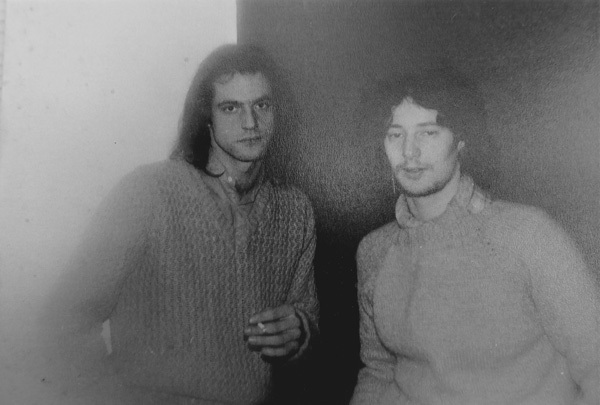 In 1983, electronic musician Rudolf Langer (Tyndall) and guitarist Peter Preuß teamed up to form a duo by the name of LAPRE (LAnger + PREuß). Aligned with the second generation of the Berlin School, their output is incredibly varied: from repetitive sequencer patterns via playfully cheerful synth pop all the way to atmospheric, hypnotic minor key expanses. It's all there. By 1984, LAPRE had released two tapes and a 12" vinyl. Bureau B's compilation presents the most compelling tracks from these releases. Rudolf Langer began his musical career as one half of Tyndall. The duo released four albums on Sky Records between 1979 and 1983. By the time the two musicians reached the fourth album (BB 289CD/LP), they were barely on speaking terms, so each recorded one side of the LP on his own. The split from his former partner turned out to be a liberating experience for Rudolf Langer, both in a personal and artistic sense. As luck would have it, Langer was riding home one night with a colleague from work, Peter Preuß, and a tape machine was lying on the back seat of the car. It turned out that Preuß was also a musician, a guitarist in fact, and they decided to hook up for a jam session. The results were hugely promising and a plan was made to record together. What should they call the project? The answer was simple -- take the first letters of their names. LAnger + PREuß = LAPRE. They worked on track after track after track and produced two tapes over the next two years ("Tedan" in 1983 and "Flokati" in 1984), each numbering 30?50 copies, intended for sale at concerts. A 12" single on their own label (Oeso) followed later in 1984. 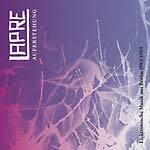 Although guitar features on every track, LAPRE's early recordings relate to the Berlin School, with their music, specifically their use of synthesizers, echoing the tradition of Tangerine Dream, Klaus Schulze, et al. LAPRE's mix of analog synthesizers, acoustic guitars and drum computers saw the duo occupy a previously uncharted niche in electronic music. How wonderful to see these recordings being made available to a wider audience over thirty years later. First time CD release for all tracks.